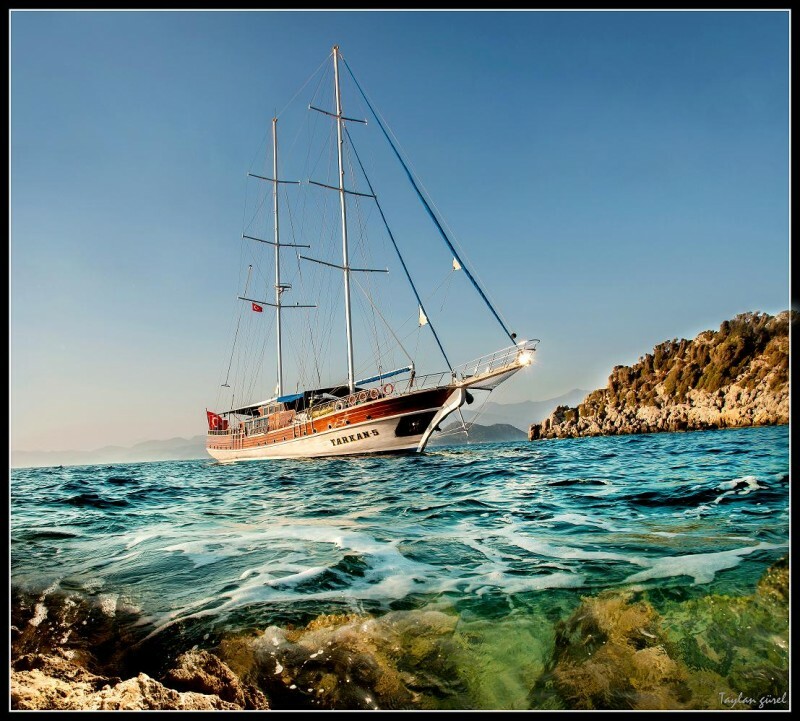 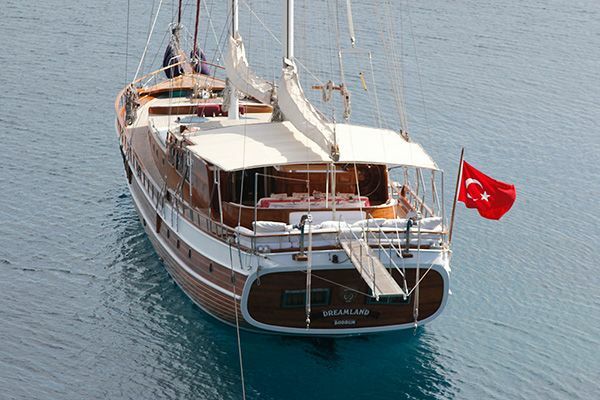 The impressive length of the classic wooden Tarkan 5 Deluxe gulet with its many luxury features, is an inviting choice for a very relaxed and pampered gulet holiday for a larger group. 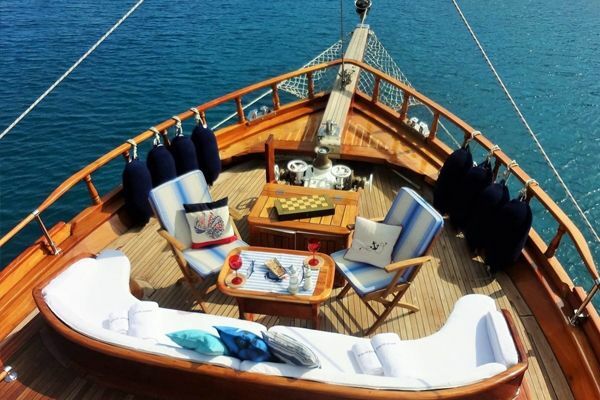 The long deck of the 36 metre gulet has not only the aft dining table enclosed by a comfortable bench and chairs but the forward deck full dining table under the canopy also, while the saloon dining table offers a third cosy indoor and air-conditioned venue, giving a great choice of dining locations for meals. 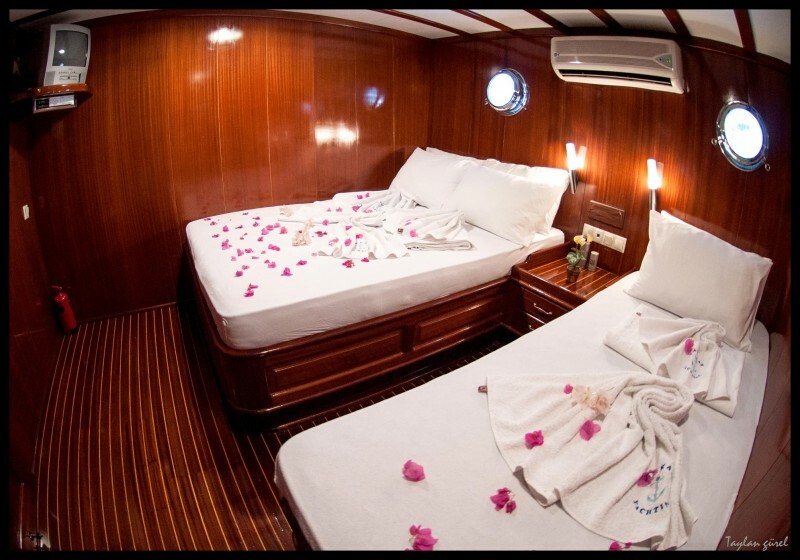 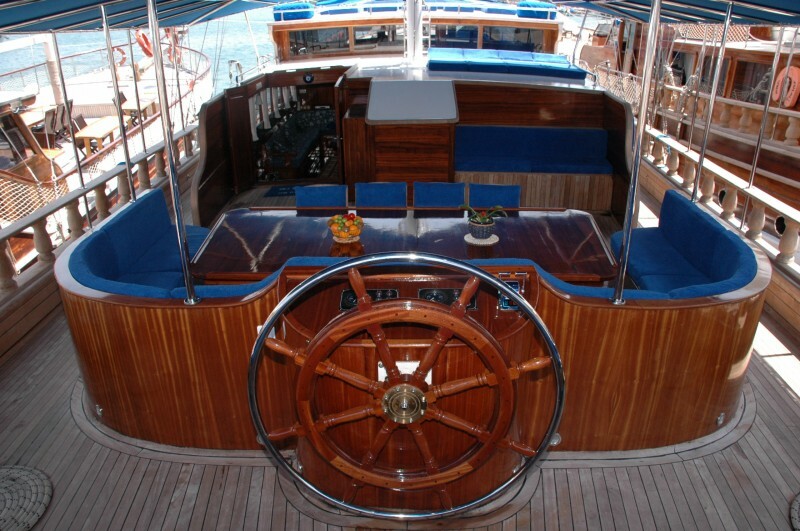 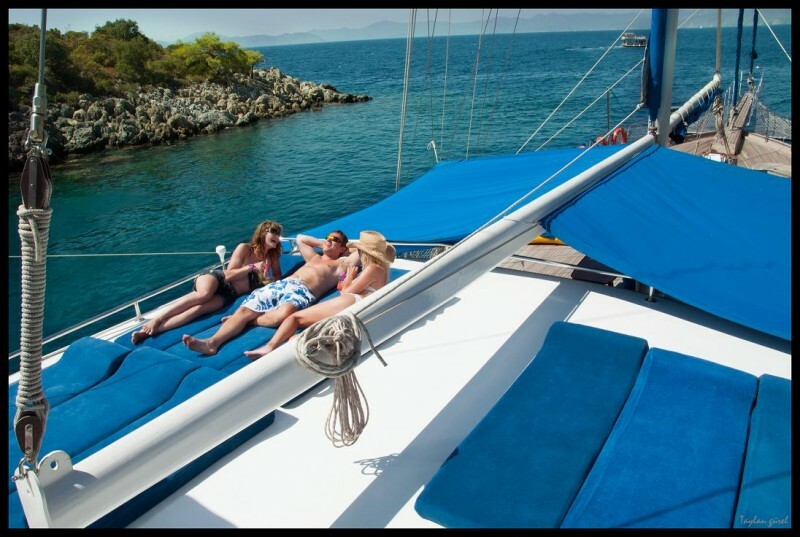 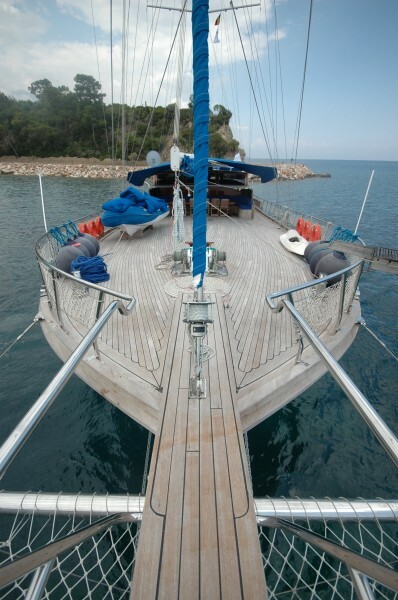 The forward deck has ample room for sunbeds and seats and an evening party. 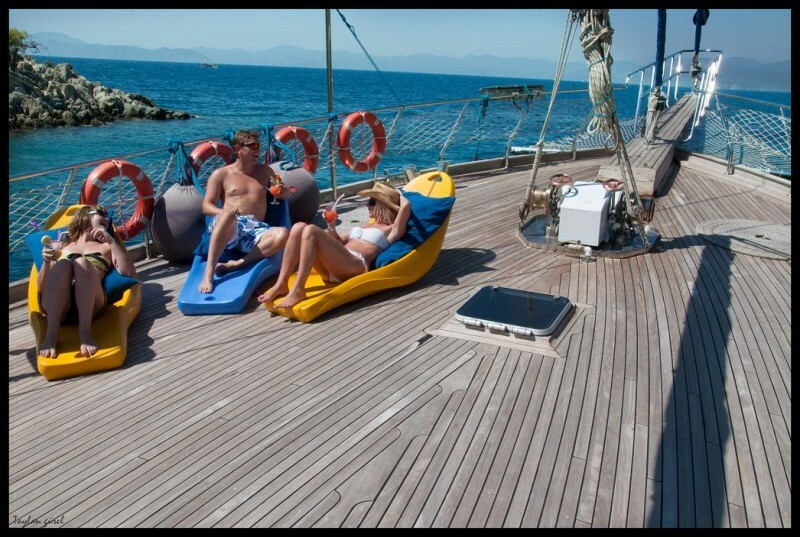 The main bank of sunbeds is laid out on the upper deck for the sun-worshippers. 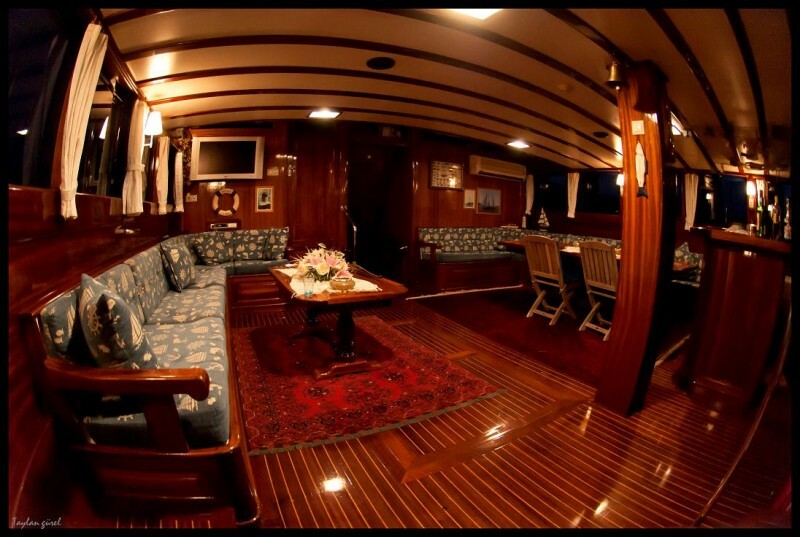 In the large comfortable saloon of luxury yacht Tarkan V has a large plasma TV and DVD with satellites for TV and internet, can be enjoyed from the inviting seating area placed to one side. 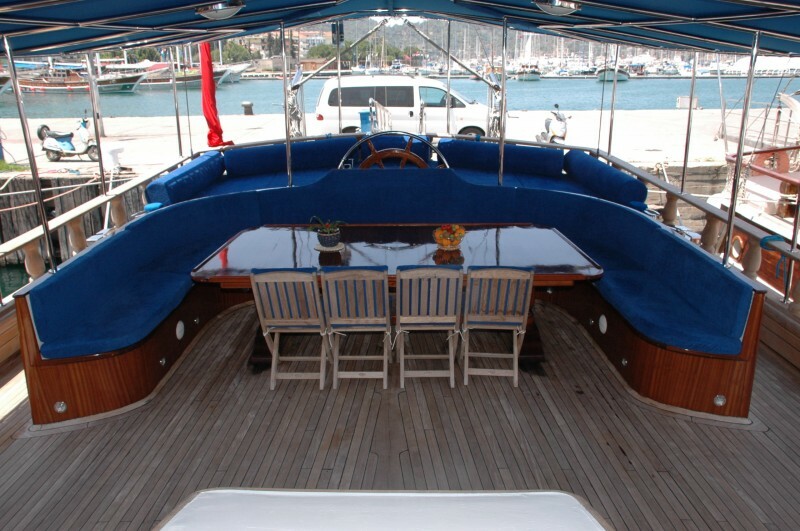 The indoor dining table and chairs and bench seat line the other side of the room, plus a bar where drinks, tea and coffee are served. 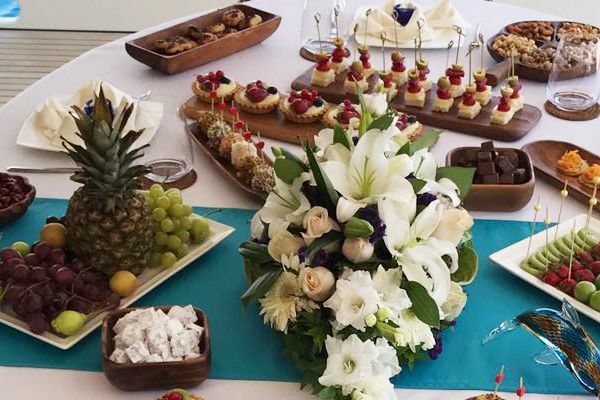 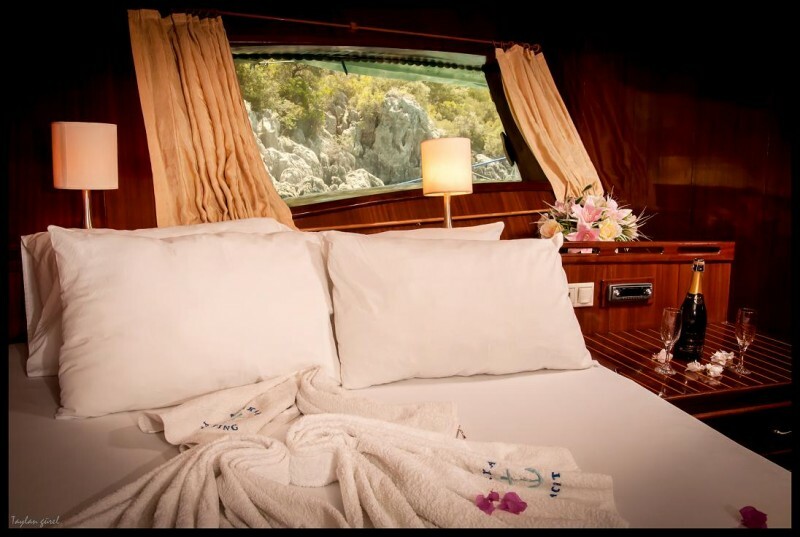 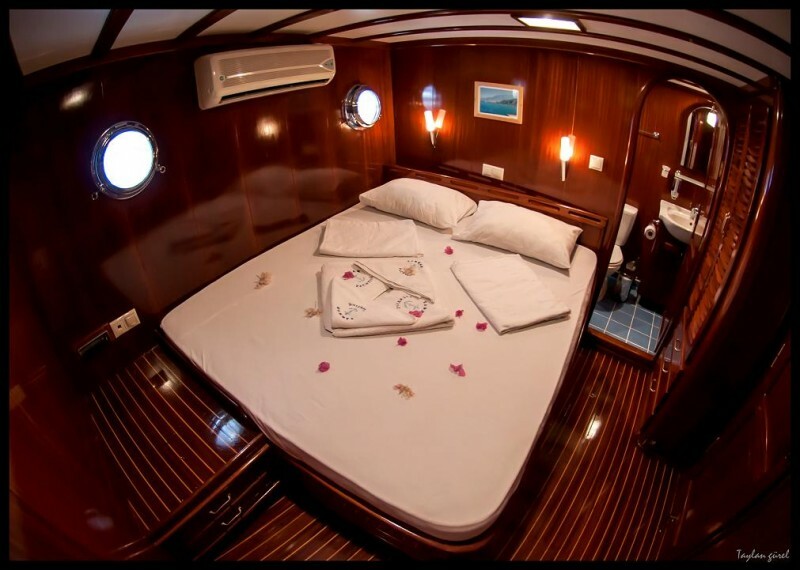 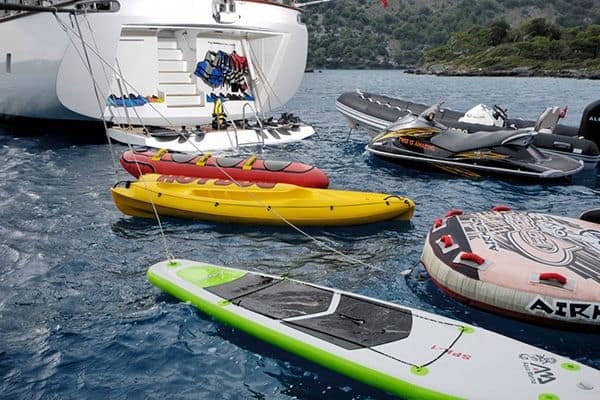 The eight comfortable and equal size double bed cabins, and two triple cabins – with a double and a single bed, give a flexible choice of accommodation for up to 16 guests in Turkey or 12 guests in Greek waters. 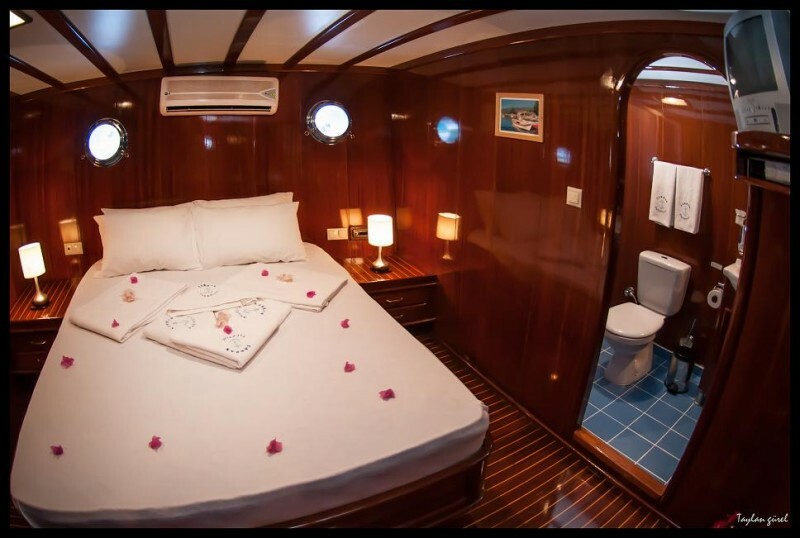 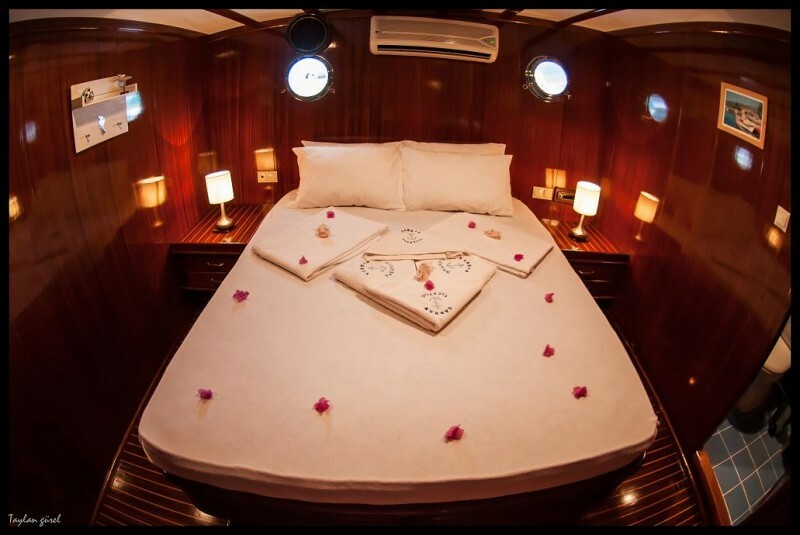 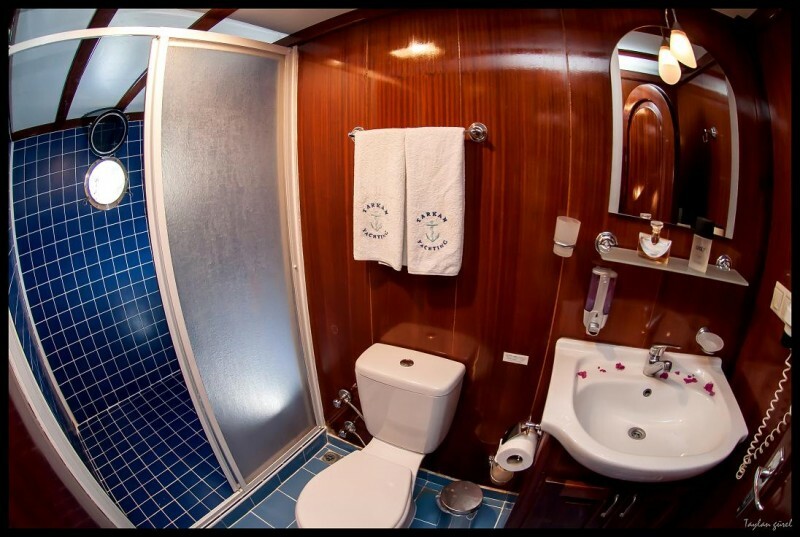 All cabins are well fitted, each with a private bathroom, TV-DVD, radio- cd-mp3 iPod music systems, and all have air-conditioning available. 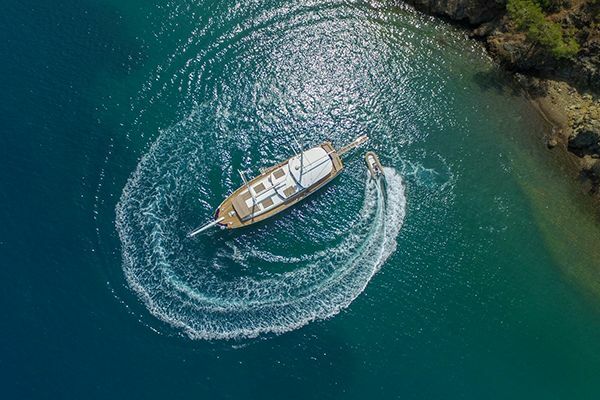 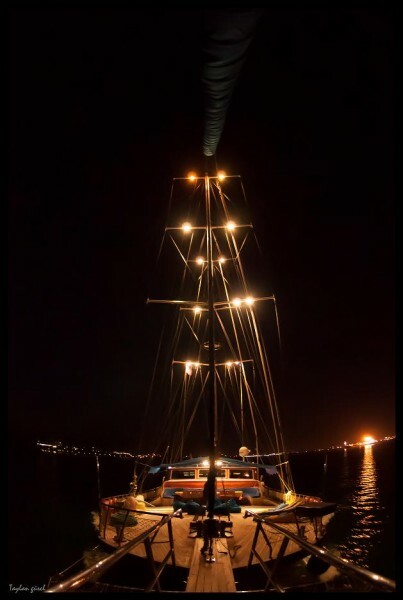 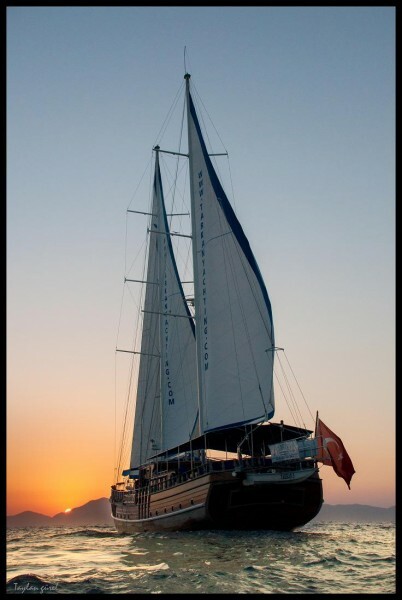 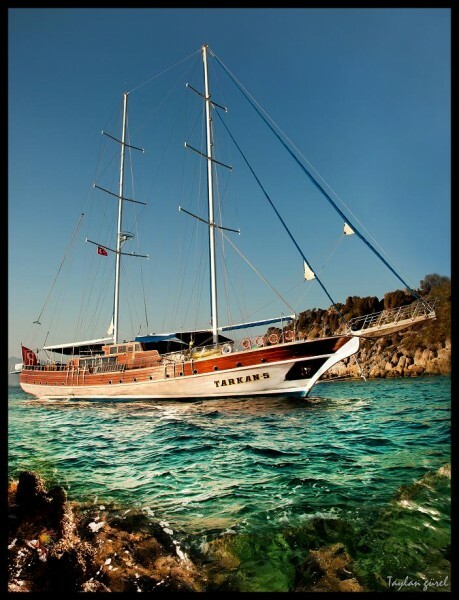 As the Tarkan 5 gullet was launched in 2006, she has had modern comforts installed while keeping the classic style of the Aegean gulets, perfect for enjoying the turquoise waters of the Mediterranean and Aegean coasts. 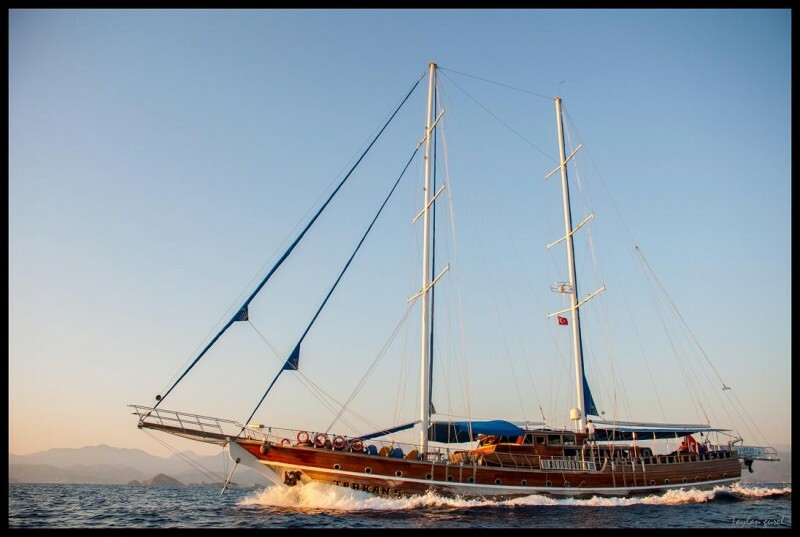 Her Captain, crew, hostess and chef offer several different languages between them including Turkish, English and will pamper guests with excellent meals and service looking after any activities or relaxation the guests choose, from having fun on the water with the canoes, windsurf, waterski, and ringo to exploring ashore, making sure that many memorable experiences will be treasured.